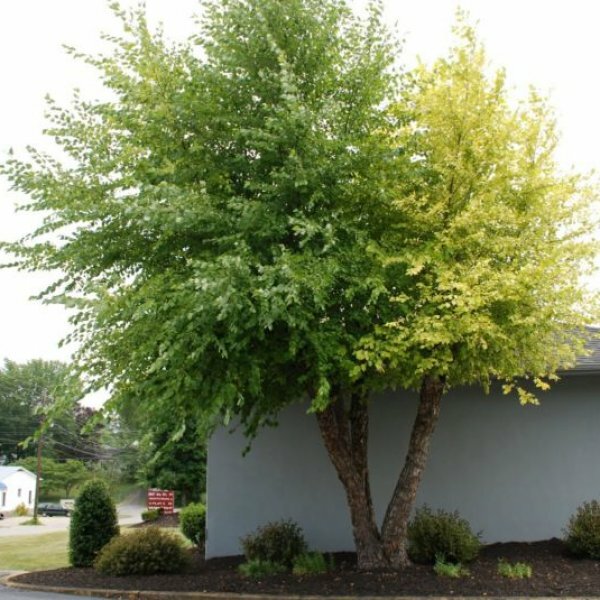 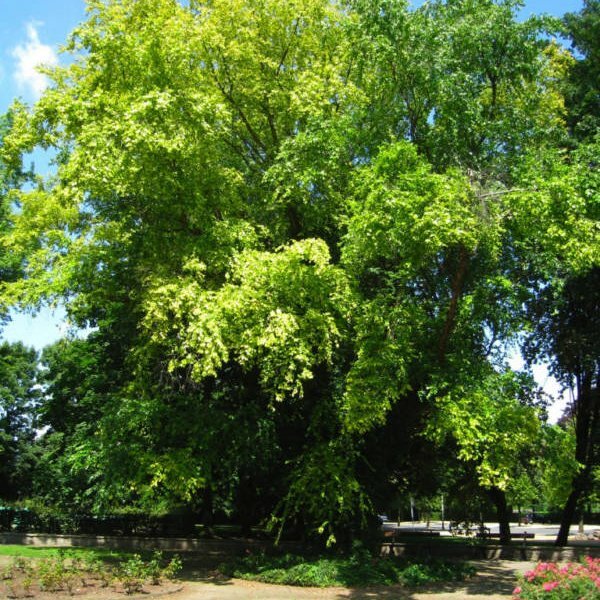 River birch is a handsome, often multi-stemmed, fast growing tree that is native to the central and southeastern United States. 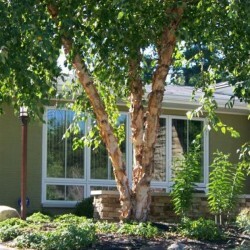 Its most notable ornamental feature is its beautiful peeling bark that appears in mixed shades on white, rust-orange, gray and brown. 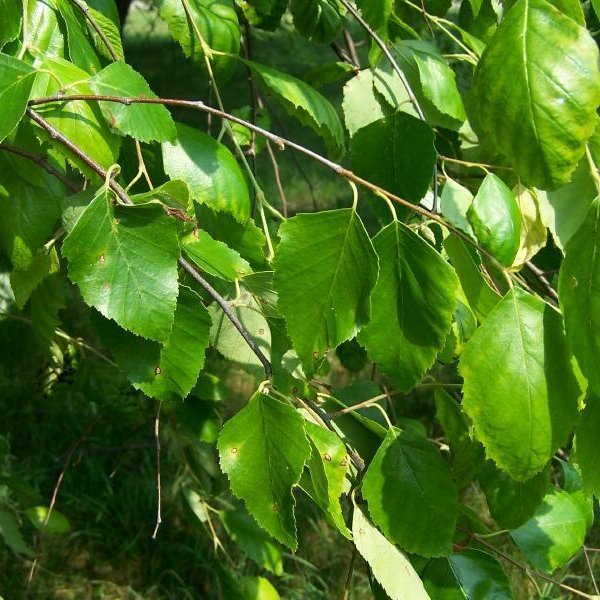 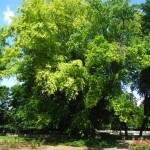 Like other birches, it has elongated catkins, which appear in spring, and its medium-green leaves turn a dirty yellow in the fall. Its seeds ripen in late spring, much earlier than other birch species.